At first glance the U.S. housing market appears to have recovered from the 2008 financial crisis. 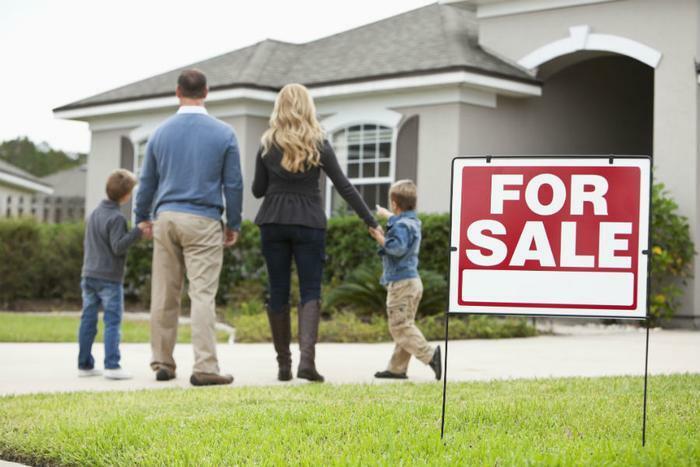 Home values are up, foreclosures are down, and homes in most markets are selling quickly. But new research from the National Association of Realtors (NAR) has revealed some trends which show this is not exactly a normal housing market. The first one that stands out is a slight decline in the number of first-time homebuyers, largely made up of millennials. This group makes up 34 percent of this year's homebuyers, compared to 35 percent last year. Researchers say normally this share should be growing, not shrinking, and that the figure represents the fourth-lowest share of first-time buyers since 1981. NAR chief economist Lawrence Yun points out that many of these first-time buyers are having trouble finding a home in what has become a very restricted market. "The dreams of many aspiring first-time buyers were unfortunately dimmed over the past year by persistent inventory shortages, which undercut their ability to become homeowners," he said. "With the lower end of the market seeing the worst of the supply crunch, house hunters faced mounting odds in finding their first home." Yun explains that a shrinking housing supply also means that entry-level homes are more likely to draw multiple offers. Investors who eye these homes as rental property -- and who can offer cash -- usually have the upper hand over first-time buyers in a competitive bidding situation. The competition for a smaller number of homes on the market has also resulted in higher prices, making home affordability an issue for some consumers hoping to purchase their first home. "Solid economic conditions and millennials in their prime buying years should be translating to a lot more sales to first-timers," Yun said. "But the unfortunate reality is that the nation's homeownership rate will remain suppressed until entry-level supply conditions increase enough to improve overall affordability." Another factor inhibiting first-time homebuyers is the large amount of student loan debt that many of them carry. The NAR research shows that 41 percent of consumers looking for their first home have student loan debt, with an average balance of $29,000. Twenty-five percent of these consumers said saving for a down payment was the most difficult part of the homebuying process. Despite high prices, NAR says that people who are buying homes this year are more likely to pay the list price, or even higher. However, the researchers say that's a direct result of reduced inventory, which is creating competition in many markets for available homes. Buyers whose offers are accepted report it is now a little less difficult to obtain a mortgage. Thirty-four percent of buyers described the process as more difficult than expected, compared to 37 percent last year. NAR attributes that improvement to more buyers with stronger financial statements and credit scores, along with a slight easing of credit standards. Another key take-away from the report is the growing number of single women making home purchases. This year, single women make up 18 percent of homebuyers, the second largest group of purchasers after married couples. Despite continuing struggles from first-time homebuyers, NAR says that down payments were smaller this year. The average down payment on a first-time home purchase is currently five percent, down from six percent last year. Meanwhile, people buying their second or third homes used their equity to make larger down payments. These consumers made an average down payment of 14 percent, up from 11 percent in 2016.